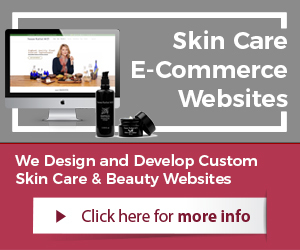 Skin care website design is a critical component for beauty brands. Design effects online efforts such as selling skin care online through e-commerce websites or marketing skin care products. The design of a beauty and skin care website has a strong impact on a brand’s overall efforts and results online. The beauty industry is competitive and brands that want market share have to consider the changes over the last couple years with technology and Search Engines. To stay competitive in 2015, skin care brands should make necessary website design changes. There are many changes that can be implemented, but what are the top website design trends for the beauty industry in 2015? Here are 5 website design tips and trends that skin care websites should address for 2015. Without a doubt, it is the single most important website design requirement for skin care and beauty websites. By now, if the website is not Responsive Design, it must be updated. Over 60% of people access the Internet through mobile devices. 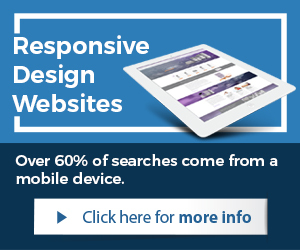 A website that is not responsive is only visible to about 40% of Internet users. Skin care websites, especially the brands that have e-commerce shopping carts must update to Responsive Design technology (HTML5 and CSS3). According to Google, website pages that feature a video, have much better chances at being ranked in top of search than website pages without a video. Videos are not just the fastest Content Marketing method, required for Search Engine Optimization SEO and Social Media Marketing SMM, but also a key website design component for skin care websites. Videos can be used for a variety of reasons and are highly effective for the beauty market. Beauty consumers research and educate themselves about skin care treatments, product ingredients, benefits and more. Websites for the beauty industry that are cluttered, confusing, and lack proper content do poorly. Minimal style website designs will be dominant for skin care websites in 2015. Not distracting the user and providing a user-friendly website environment is important in design style. Beauty consumers want to quickly get the information they seek, review products, customer reviews, and benefits. Parallax scrolling is a newer and in demand web design trend for skin care brands and 2015. Parallax scrolling is visually stunning, when the background of a website page moves at a slower rate to its site page foreground. The beauty industry is highly visually stimulated for obvious reasons, parallax website design contributes to consumers a much better experience. A richer and more complex experience when visiting the website. Flat design is a minimalistic design approach that emphasizes usability. It features clean, opens space, and bright colors with flat design illustrations (two dimensional). For beauty companies this trend enables to strip away all the clutter and allow the skin care customer and website visitor to effortlessly find information and products. With flat design, skin care brands can use bright, contrasting colors to make illustrations and buttons pop from backgrounds, easily grab attention, and guide the user’s eye. 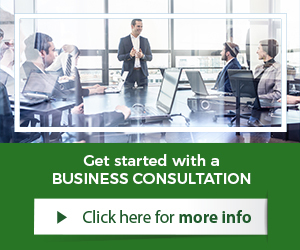 For best results, skin care companies should hire skin care website design professionals with plenty of experience, design and technology knowledge. The beauty industry is very competitive and only the proper skin care website designs have a chance at capturing a percentage of the market, staying competitive, and offering their customers the proper service.